The swan pond, on the edge of my property, was inhabited by the marriage of two beautiful swans, a cob (male) and a pen (female). My favorite thing to do was to sit on my back porch, relax in the porch swing, and watch these magnificent birds glide on the surface of the pond. They were so contented and peaceful. I was drawn into their lives. I watched as they raised their swanlings, and I watched these swanlings grow up, leave the nest while a new bevy of swanlings came along. I witnessed the miracle of “swanmanship,” and it was truly remarkable. 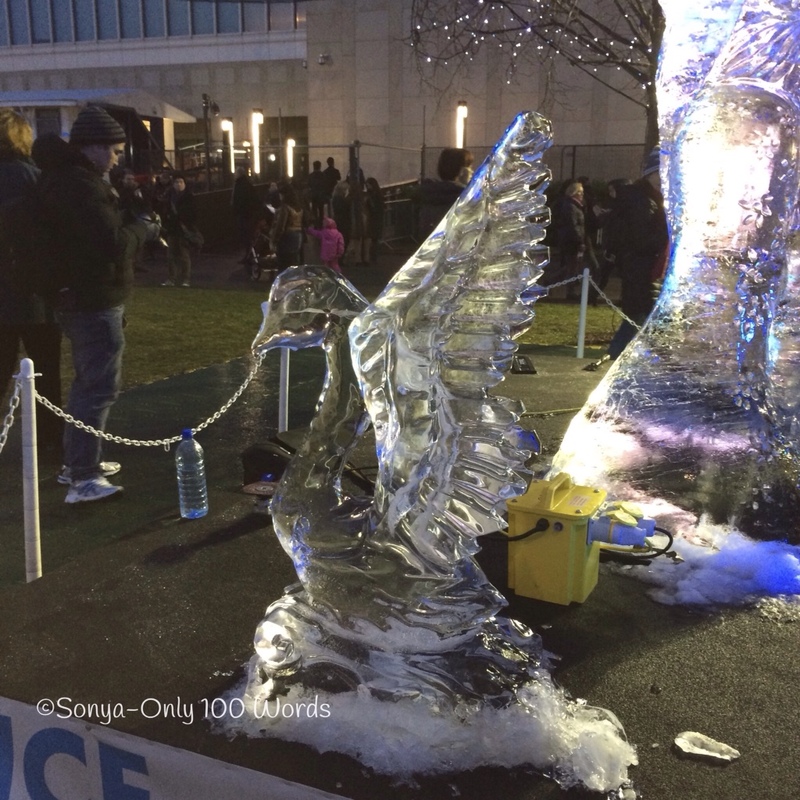 No surprise that I chose a swan as my ice sculpture for my wedding anniversary party. 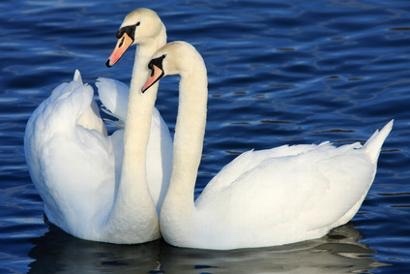 After all, swans represent fidelity and loyalty. Everything was wonderful until the ice sculpture began melting. I couldn’t find my husband – or my best friend. Nicely written and it took me by surprise. I love to be surprised! Thank you so much Lady Lee!! This had me enrpatured for I LOVE swans! I was feeling so good and then the end was like WHOA! Wait, that can’t happen! Good job at the element of surprise! I know! Such a bummer! LOL! Thank you so much JR!! So good to see you on my blog! I always love your blog! Just been harder to do lately since I been away, but hopefully normalcy will return soon! That’s wonderful! Exactly the reaction I wanted. 😀 Thank you for reading! Thank you so much for your kind comment! Thank you for reading my blog posts. 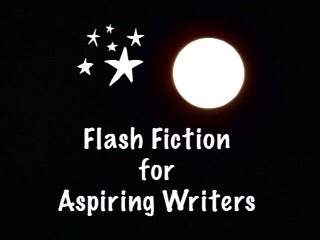 I hope you will decide to join us in writing flash fiction! It’s a lot of fun. Well, I haven’t thought about it yet, but the idea is definitely appealing! Oh wow! That ending though. BAM! Thank you Uday! I’m glad you liked it. Lovely but sad story. Well done Joy. Thank you so much. Yes, it is a sad story. A truly unexpected ending. So well conceived! Thank you so much TJ! Now that was an ending and a half. Such a shame when that happens. Yes, it really is a shame. Priceless you are great at these little plot twists. And is SO few words!!!! Excellent story , Joy! It started off so beautifully and then the sad surprise came! Just like in real life sometimes! Thank you Jessie! Yes, there are often sad surprises in real life too. I hope it is coincidence too! Excellent surprise PJ !!!!!!!!!! I could never ever have guessed that !!! Life can be so not dreamy …. Thank you Cat! I love swans too. I think they are beautiful birds. That surprise at the end was very unexpected and well crafted. I really like this story even though it doesn’t have a happy ending. Yes, it is a shame. Thank you for reading and commenting!! Aaaa! Don’t you just hate that. Ah…the meltdown! Nicely written PJ. Oh no! I hope her husband is okay. I loved the line at what the swan represents. Thank you Vanessa. I went on Google and looked up Swans and that is what it said. I thought it was sweet too. Thank you! I noticed that many of the writers do research so I tried it with the swans and was pleased with what it said. Nice romantic theme throughout, until the last line. 🙂 Good twist. Loved it! You totally drew me in and I never saw the end coming. Swans seem to be the better species in this one. Nice twist at the end. Good story PJ. I like how you tied it all together. Started as a nice reflective piece and then a great twist in the end. I just like happy endings…well most of the time. How romantic! Swans do mean loyalty and fidelity. There must of been a melting of hearts at that wedding!